Choose a neighborhood of Boston and spend a few hours dispersing Teaching Kitchen outreach flyers to targeted locations such as community centers, libraries, health centers, grocery stores, laundromats, corner stores, etc. Timing is flexible and you can go on your own or with a friend! We will provide you with a stack of outreach flyers, tacks, and a 1-day T-pass, if needed. To sign up, contact Allison Sequeira or call 617.522.7777. 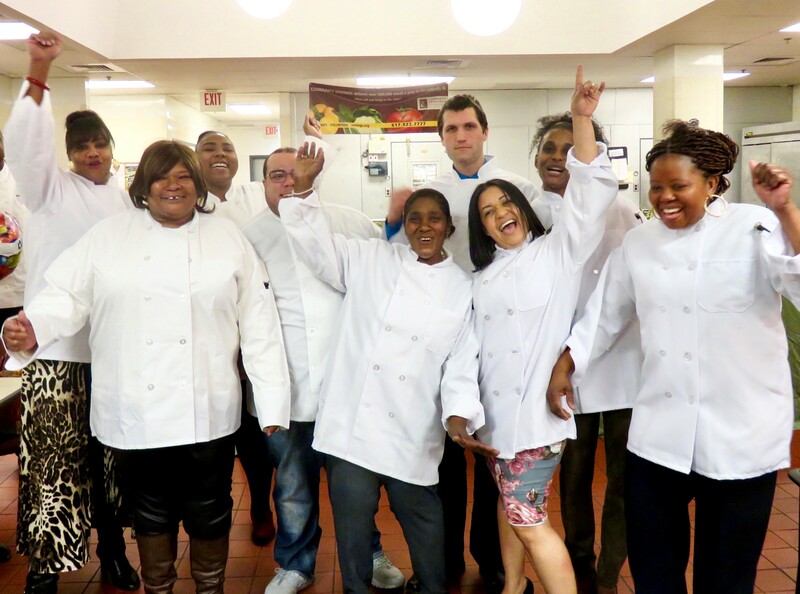 As our Teaching Kitchen job trainees approach their graduation, they’re hard at work finalizing resumes and making a plan for job search efforts. Many individuals in our program have limited computer literacy and/or limited English literacy. We’re looking for volunteers who would be available to be paired one-on-one with a trainee to help complete online job applications. Each trainee would have a list of 3-5 online job applications that they would like to complete, as well as a finalized resume. The goal of the morning would be for the volunteer to complete online applications, with the trainee present and providing the necessary information. It would be a huge help to our trainees to have several job applications fully completed so that, hopefully, they can start getting out on interviews! Ideally, we’re looking for people who can commit to all 3 Thursday mornings from 9am-noon.